Any heating engineer needs to keep up to date with new technology and legislation, helping them to provide heating systems that are safe, efficient and perform well. Rob Evans, veteran gas engineer and Training Officer at Baxi, highlights why ongoing learning is so important. Whilst training can mean time off the job, the reality is that it can pay dividends in the long run. It can help installers to become more experienced working with products, while remaining one step ahead of emerging trends. Plus, as their work is likely to be of better quality, happy customers may also recommend them to friends and family, resulting in additional work and income. A practical, hands-on approach to training is key, as it means installers can spend plenty of time with products to familiarise themselves with how they work. 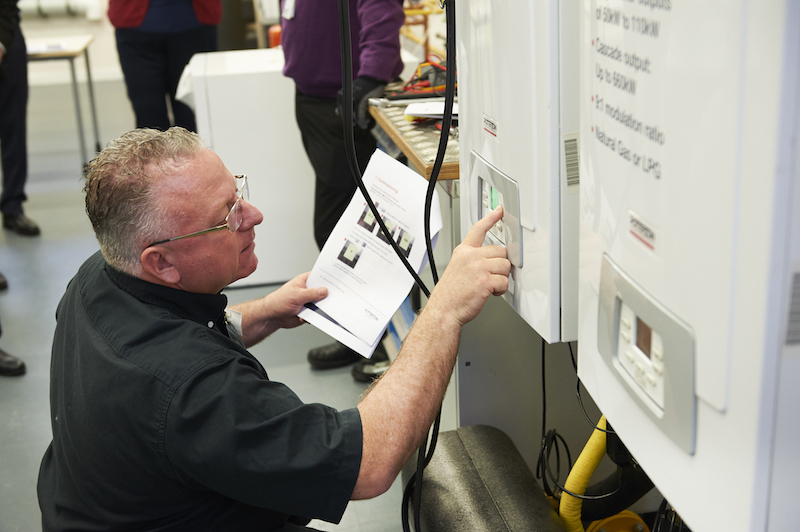 Hands-on courses allow installers to get to grips with a product in situ, for example, by getting in front of a boiler and being encouraged to fault-find or by inspecting individual components to see how they fit within a system. Giving installers the technical knowledge of the various parts of a boiler while they are tested throughout the day with a ‘learn by doing’ approach is a highly effective type of training. This helps installers to prepare for all kinds of situations that they could be faced with when attending a call-out in a customer’s home. Online training is equally important. At Baxi, we already upload videos for the majority of our products to YouTube and Wistia so that everyone can see how they work. But now we have also started sharing weekly #TrainingTuesday videos on our social media channels, fronted by our training team, to help bring the classroom to installers wherever they are. Each piece will cover a different lesson, with topics ranging from servicing, maintenance, installation and repairs. At no more than a minute in length, even the busiest installer can fit them into their day. It’s not just the training itself that’s changed over the years, but the supporting materials too. We now send all trainees information on who will be training them, the trainer’s industry experience, and a course schedule along with clear instructions on how to get to the training centre. And, at the end of the training, installers are able to take away engineer manuals to help with servicing and maintaining appliances, ensuring our delegates feel supported before, during and after their course. At Baxi we believe that the greater the installer’s knowledge of their trade, the more they can offer to their customers. That’s why we’re constantly honing our training courses to ensure that they can be tailored to installers’ needs. Our training courses are designed to cover an increasingly wide variety of topics – from sharpening up on the basics, like how a combi works, through to more specialist subjects designed for experienced and established installers looking to widen their remit. These include fault finding, boiler diagnostics, combi boiler appreciation, and system wiring and controls. We train installers with the aim of making it easy for them to do their job effectively and to the highest standard possible, every time. 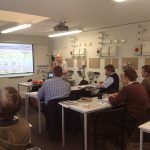 The right training course can be instrumental in helping a heating engineer to sell more services or products to their customers. Over time this means the financial benefits can easily outweigh that relatively small investment of a day or two out of work. Baxi offers a range of free, paid and accredited courses from 17 training centres across the UK and Ireland. To find out more, visit www.baxi.co.uk/training. For quick tips or an answer to a burning question, look out for Baxi’s #TrainingTuesday videos on Twitter (@baxiboilers), Instagram (baxiboilers) and Facebook (baxiuk). I attended the three-day long fault finding course with Baxi, which was fantastic – I met some great people and learnt so much. The sheer amount of knowledge I gained in just three days was unbelievable. “Following the course, I’ve found that I am now much quicker at diagnosing faults across all brands of boiler, meaning I can get on to the next job faster – overall I’ve definitely come out a better fault-finding engineer.